As the start of the various leagues in the ASEAN region are around the corner, I thought I would share my thoughts on some of them. With formidable results by its national teams and Buriram United's performance in the last edition of the AFC Champions League, it looked like Thailand was ready to graduate to the next tier of Asian football. 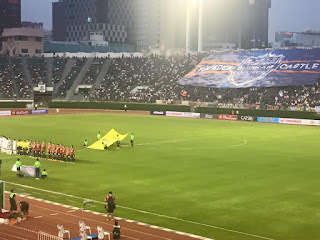 Chonburi's 9-0 drubbing by FC Tokyo in the 2016 ACL playoffs however was a big reality check (MTU's 0-3 scoreline to Shanghai SIPG, despite a good performance, also did not help), showing that Thailand still has a ways to go to join the elite of Asian football. That does not take away from the emergence of the Thai Premier League Premier League Thailand as one of the livelier leagues in Asia. In terms of marketing and fan culture, Thailand is right up there with any league in the continent. There are also plenty of websites, blogs and social media channels that provide information that make the league quite easy to follow. If the level of play on the field can catch-up with the off-the-field successes of the league and its clubs, and the constant politics in Thai football were to finally subside, the PLT has a chance of being one of the top Asian leagues. Buriram United and Muangthong United will battle it out for the domestic crown, though it seems Buriram is still at a higher tier than MTU. Buriram's exploits in Asia will be should have been interesting to follow. Unfortunately, they have self-destructed from the get-go. I was about to write a blog post titled "Malaysian football's Malaysian problem". The gist of the piece was to argue that until the level of Malaysian players improve, Malaysian club football will be stuck at the AFC Cup level. With the AFC's 3+1 rule at a minimum 7 players on the pitch have to be Malaysian, therefore no matter the quality of the foreigners it is hard to see Malaysian clubs play in the AFC Champions League. After JDT's solid performance against Muangthong United of Thailand in the ACL qualifying round, I thought it was a bit unfair to publish such an article - because not just Malaysia but the entire region has the same issue. Malaysian football has the fans and kind of has the money, but what they are seriously lacking is a large pool of quality players. That is why credit must be given to JDT and the vision of HRH Tunku Ismail Sultan Ibrahim in heavily investing in youth development in the state of Johor through a serious and credible partnership with Borussia Dortmund. The other thing missing in Malaysian club football is professional management. The off the pitch drama is a total soap opera and that certainly has an affect on what happens on the pitch. Selangor and Felda look set to be near the top of the table but it is hard to pick against JDT. They will likely lift multiple trophies this season. I had lost my enthusiasm for the S-League a few weeks back. The team I keep an eye on, Geylang International FC, had a miserable season in 2015. Home United moved out of Yishun Stadium, which is right next to my residence, and FAS provided a poor vote of confidence to the S-League by announcing it was going to be a development league for the mysterious Asean Super League - which only FAS seems to know about. Things however changed in a hurry. Lions XII were kicked-out of the Malaysian tournaments thus most of their players dispersed to S-League sides. Tampines Rovers signed Jermaine Pennant and several prominent sponsors partnered with the league and clubs. The S-League became interesting again and early season crowds have been quite good. Hopefully, this will bring some stability to the league and perhaps a few defunct local clubs will consider joining the league again in the near future. Tampines look like the title favorites. Albirex could make some noise. I had the privilege to tour Vietnam at the beginning of the year and meet the V-League management and visit with all the clubs. It feels as though the V-League and Vietnamese football is in the ascendancy. 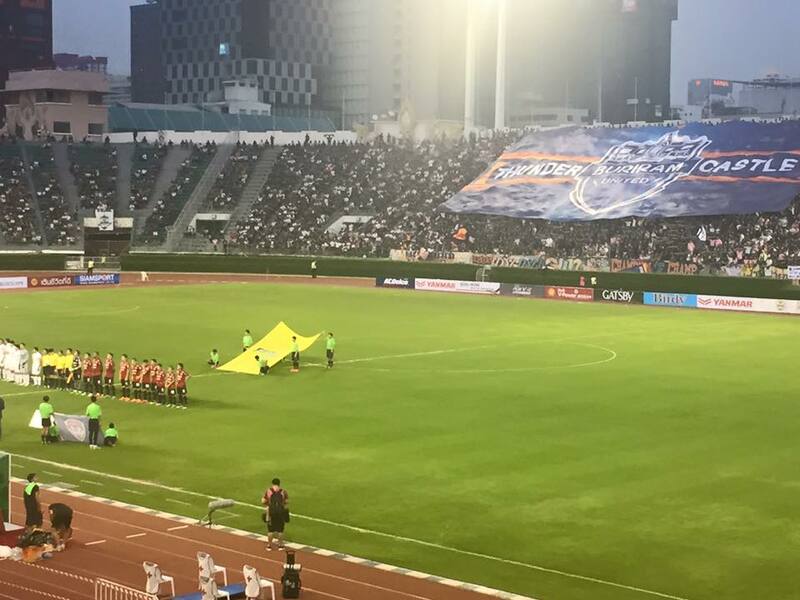 While it cannot be compared to the more mature football nations in Asia, I was relatively impressed with the marketing and management of the V-League. Also Vietnam has a strong crop of youth players, several that are training Korean and Japanese clubs. Becamex Bin Duong was very impressive against Muangthong United of Thailand (This team is everywhere! Third reference in this blog post) in a preseason friendly in Ho Chi Minh City. They have gotten off to a respectable start in the AFC Champions League as well. They should easily win the V-League. Afraid I'm not too familiar with Laotian football, but I did stumble upon the Lanexang United website the other day. Quite impressive for a developing football nation.